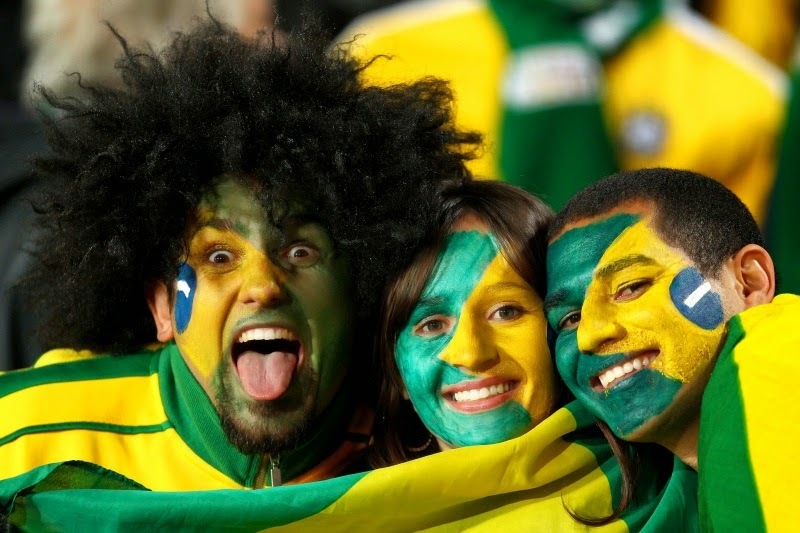 The Brazil received more than 1 million foreign tourists and Brazilian and foreign fans left a message of gratitude and joy, for the moments experienced during the World Cup 2014 in Brazil. 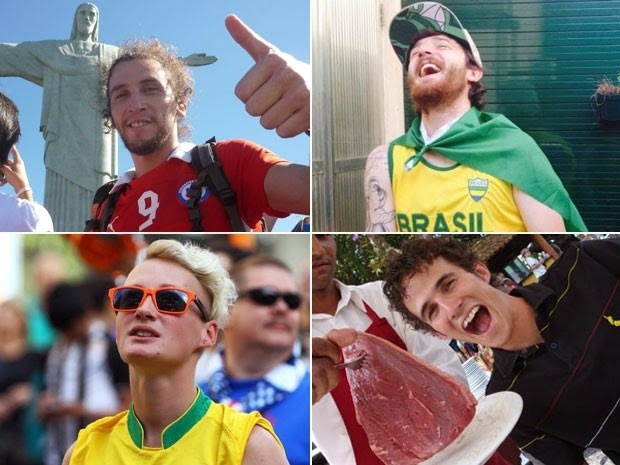 World Cup 2014: Check out most interesting things that tourists said about Brazil! The american Joe Bauman found it strange to see everyone put something that looked like sand in their food. That's how he discovered the “farofa” and turned a fan of it (he said it tasted like bacon). - "I started putting farofa on everything" he said. - Brazilians drink a lot. All social engagements involve friends and beer. - I found it strange to see that many middle class families have maids. In the U.S., only the rich have. I was a little uncomfortable to see that a stranger was going to make my bed, wash my clothes or prepare my breakfast. - Brazilians love to give food to the visitors. It's the way they take care of you. - I was impressed to know that adults are required to vote. In the United States, have shamefully low rates of turnout in elections. - I was amazed at the natural beauty. The mountains, beaches, vegetation, everything is different from where I live. I could not believe there was a park the size of the Tijuca in a big city like Rio. - I was impressed to know that so many constitutions were created in the country and that the current version received so many amendments. It is very different from the U.S. Constitution, which is very old and has been modified a few times. - I found kind of gross to see that here they toss the toilet paper in the trash [and not in the toilet]. Isn't there a bad smell? - There are many American TV shows, but all of the 1990's. I found it funny to see that Brazilians love the show "Friends", which isn't broadcast in the U.S. for over ten years. - Brazilian women seem to love the "gringos". Weird, huh? But I found it great. Incidentally, my favorite part of Brazil, of course, were the Brazilian girls. I fell in love. More than once. I'll definitely return one day to Brazil to meet my future wife. - The heart and soul of this wonderful country are Brazilian. They wanted to show me everything and make sure I had a good experience - and I certainly did! - On the beach, Brazilians are facing the sun, and not the sea. I found it interesting! - Brazilians meet friends, drink together and share the bill. In Canada, each pays what consumes. - Here, couples kiss and show affection in public, which it does not happen in Canada. - Brazilians speak loudly, almost shouting, and very fast. - You eat A LOT. Very much. I spent a week with a Brazilian family and always had some food or fruit on the table. - In Europe, everything is calmer. In Brazil, when people sing the anthem, they cry, sing loudly and with great emotion. - I was surprised to see how quickly you make friends here, both in the slum and in the most exclusive condominiums. - I realized that men are very macho. They treat their partners as employees, especially in relation to household chores. - We found it strange to see that here you eat chicken hearts. - Brazilians are very alive and full of energy. They are always moving. - They also smile a lot. - In Algeria, there are no women who drive motorcycles. - Almost all the shops here parcel your purchases in several times without interest. I like that. You can pay the same price parceled up into ten months. - The bank guards are armed in here. There, it's not like that! - When you meet someone, give two kisses on the cheek. This is very different from the handshake that we do in Canada. - Loved the "coalho" cheese with oregano on the beach! And corn too! Every day I ate. - In Brazil, people enjoy life and live the present more than in Canada. There, everyone is very focused on work, money and status. - In the shantytown near where I was staying, fireworks was set off every hour, day and night. At first, I thought they were gunshots, but then discovered that it was a sign that the drugs were coming through there. I got used to. - They always have a smile to show. We also Chileans are cozy, but we are more serious, formal, quiet. - The girls are beautiful, affectionate and friendly. I want to one day have a Brazilian wife. - Brazilians are very relaxed, even more than it should sometimes. Friends ask for gathering "tomorrow at 10 am" and no one appears. - The bad part was finding much work unfinished, at least in Cuiabá. - It was strange eat rice and beans. At first I thought: "Is it serious?". But I ended up finding it super delicious. - I liked the cheese bread. So good! Loved it. - Musicians are not paid by the bar where they play, but by the cover charge that customers pay. - Brazilians are not good in punctuality. - It was great to see everyone on the street wearing yellow clothes, from an elderly lady with hat of Brazil to a child wearing a Brazilian selection shirt. - We were surprised to see how everything was well organized. The bus to the stadium, the information for the airport, everything worked fine. - A lot of people struggled to speak English. When I was in Brazil before, six years ago, no one spoke a word. - It was very special to see that each stadium served typical food of the region. And all were very tasty. - People are all glad and receive you with open arms. - Brazilians often wear very tight clothes. - People arrive late for everything. - They hug much more. -They say "Good beach!" to people. - People are more religious - usually we're just very religious when we want one thing: for example, that our team advance in the World Cup. - People applaud the sunset on the beach in Rio. That would never happen in the United States. - Be able to drink beer in public is also something that does not happen in the U.S., except in places like New Orleans. - The fact that people are so happy to be alive is something very different and palpable.